Two jewelers onsite with 35 years of experience; quality work at just above wholesale prices! Handguns and long guns, BUY.SELL.LOAN! Making loans on almost anything of value that is in good working condition. Pawn SHOP Sales & Loans! An independently owned Pawn shop and Jewelry store, in the business of making loans on almost anything of value that is in good working condition. In an effort to maximize your loan amount all incoming merchandise is completely tested. Jewelry SALES, LOANS & Repairs! David Ponciroli, known as Ponce, has been with our company for the past 9 years. David Eckart, previously of Hamilton Jewelers which has been located in Downtown St. Louis for the past twenty years. These two Jewelers strive to provide our customers the very finest quality possible. GUN SALEs, loans & Shooting Range! Southside Pawn has a staff with military and law enforcement experience, current members of the state conceal and carry program, as well as charter members of the NRA, give us a real connection with firearm owners. 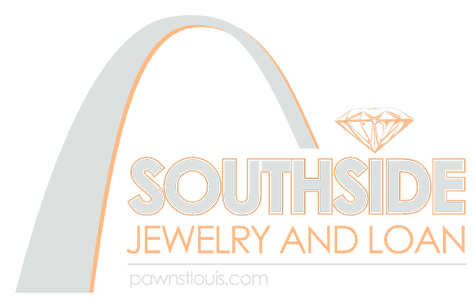 To Southside JEWELRY & LOAN, An independently owned Pawn shop and Jewelry store, in the business of making loans on almost anything of value that is in good working condition.